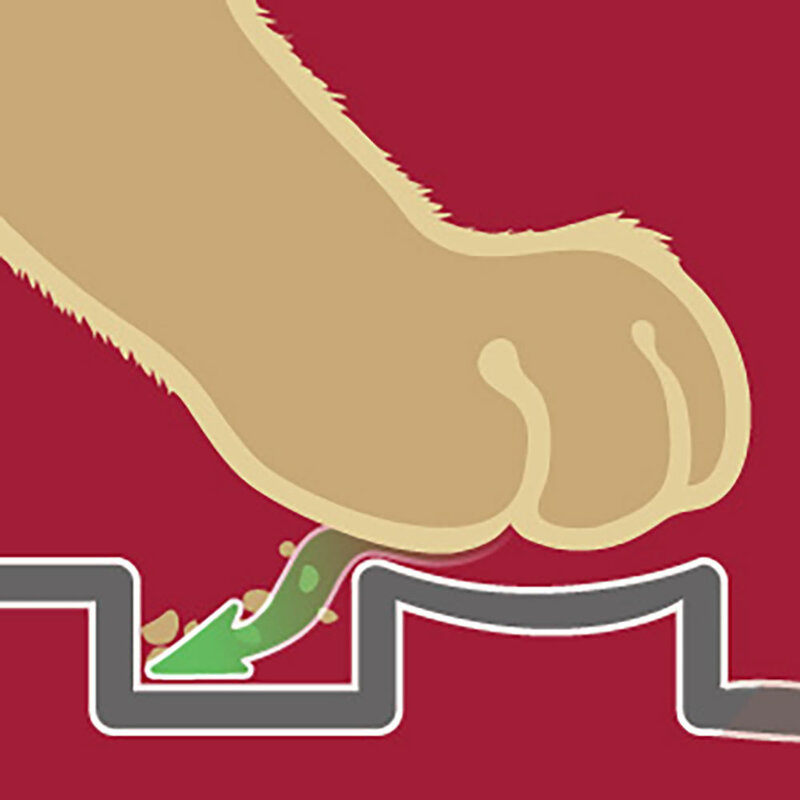 This is the patented mat that collects kitty litter from paws to prevent felines from tracking it around the house. Made from durable rubber, it has perforations of various sizes that spread a cat’s toe pads and dislodge litter granules as they walk, allowing the detritus to collect inside the holes. 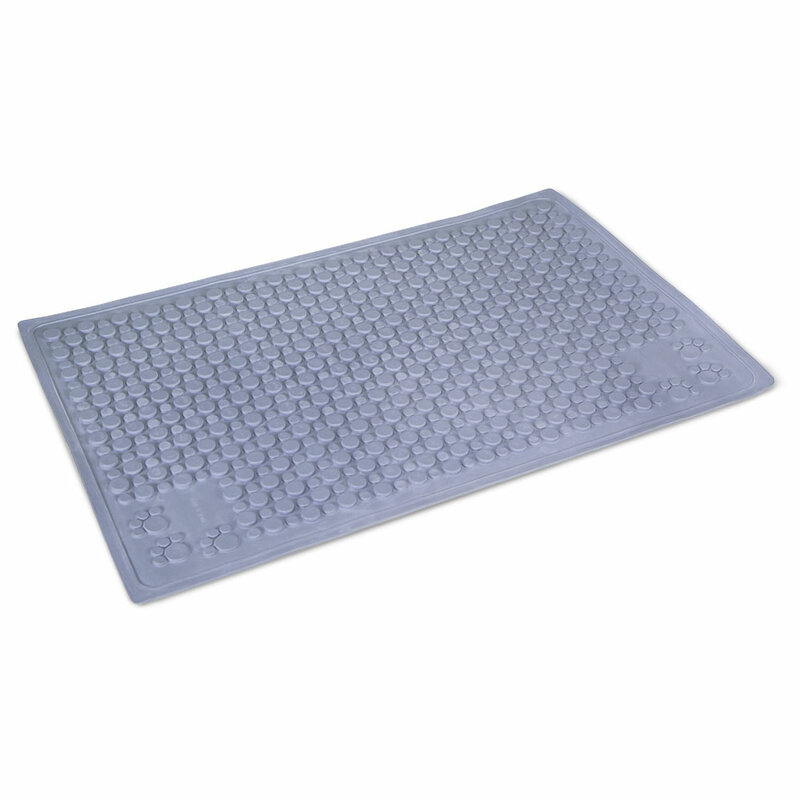 It’s easy to clean with a gentle shake and can also be used as a food and water mat. Gray.